Just tell me that saying that title in your head didn't make you laugh at least a little on the inside. Everyone has had a cheap strat copy of some sort, it is almost something that you must go through before you can call yourself a guitarist, and we all know that the cheap hard ware can really affect tuning stability so here is a tip that everyone should do every time you restring your guitar cause this honestly helps all guitars tuning stability regardless of what tremolo or bridge you have. People with locking tremolo's and roller nuts can be excluded from this. The next time you restring your guitar or if you are having some tuning stability problems with your guitar especially if you use a traditional tremolo just find a pencil and sharpen it. Now what everyone calls lead in pencils is actually graphite which happens to be really good at reducing friction on the guitar nut and helping prevent binding. So take a razor or knife and scrape the tip of the pencil while over some people, you want to collect a little pile of graphic. Now that you have your graphic fold the piece of paper in half so the graphite has a narrow channel you can use as a funnel and try to fill each of the string channels with graphite if you overfill it then just leave it, it will fall off on its own. 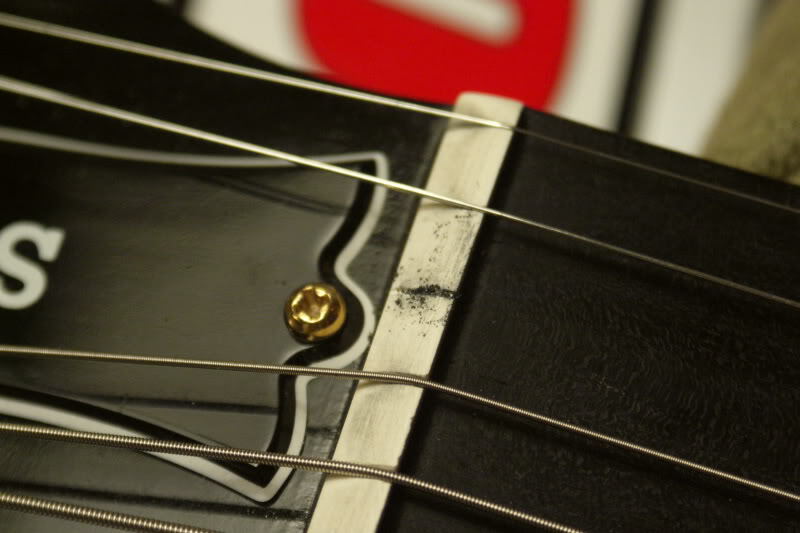 Now once you have each of the channels well coated with graphite just tune up your guitar and get back to playing, you may notice an improvement in your tuning stability. This is something everyone should do regardless if you do or do not have tremolo cause this will vastly reduce any chances of nut binding.